FACT: OFFERS 24% MORE IMPACT ABSORPTION THAN THE RIDDELL SPEED AND 44% MORE THAN THE REVOLUTION! NO EXTRA COST FOR XL HELMET! First introduced in 2003, the DNA Pro Plus now has Schutt's upgraded TPU Cushioningsystem - identical to the lining in the Schutt ION and Schutt Air XP. This is vastly superior to traditional foam padding and provides better impact absorption, better heat management and betterhygienics. It's highly resistant to mold, mildew, fungus and bacteria, while providing a barrier against MRSA and staph concerns. The original DNA Pro shell was designed using the latest 3D computer modeling and analysis tools. 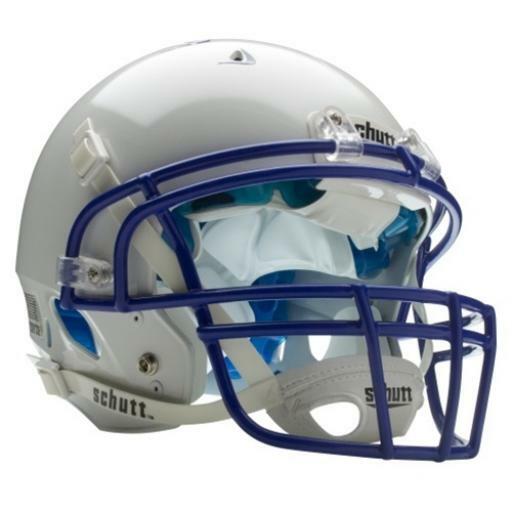 The spherical shape allows glancing blows on helmet-to-helmet hits, while specifically designed contours provide a unique look and add corrugation to increase strength and durability. Iconic, dart-shaped large ventilation holes in the crown maximize air flow. Comes with rust-resistant stainless steel hardware. SUREFIT clots allow for inside-fitting chin straps. Third chin strap snap location allows for player preference in chin strap selection. Schutt's unique TPU absorbs impacts in less space, allowing for more comfort and providing an optimum balance of cushioning, flexibility, and weight. Does not break down like traditional helmet foam, even after tens of thousands of impacts, for a consistent fit all season long. 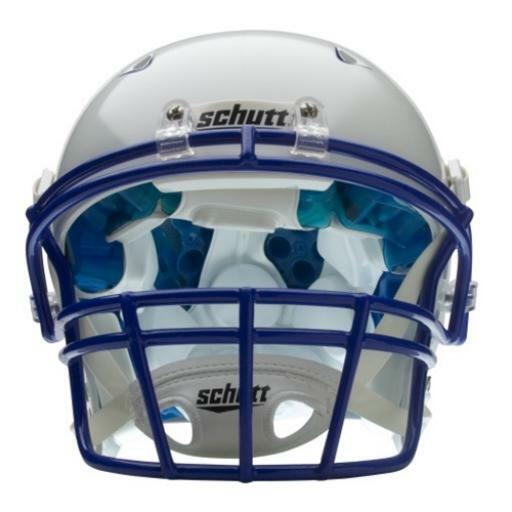 This also allows the Schutt DNA Pro to fit on without the need for fitting accessories. The will help reduce fitting time and reduce investment in fitting parts. Unsurpassed Comfort and Fit Superior Hygienics - Two-piece SUREFIT® inflatable air liner system makes this the game’s best fitting helmet. Treated with an anti-microbial to resist the growth of mold, mildew, fungus and other bacteria. Facemask not included. Takes a DNA facemask only.